We had a choice. We could live in a world that’s uncomplicated and simple, yet fulfilling, creative and tolerant. We chose otherwise. Now, we live in a world that’s complicated (and not just complex), disillusioning and intolerant. Sooner or eons later, we as a human race, if we don’t perish by then, will realize the importance of basics and simplicity. The basics or the simple beginnings is where lie answers to life’s complex questions, the basics is what we must revisit to learn how to live, the basics is also where we came from and must go back to. And this dear friends is true in every sphere and dimension of life including Terrence Mallick’s cinema The Tree of Life (TOL). Mallick revisits the basics, narrating the tale of my evolution, your evolution… the universe’s evolution. Simplicity is profound. 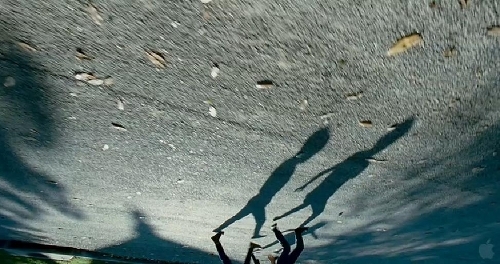 And Mallick reflects this profundity in every aspect of TOL—archetype characters where each family member interchangeably represents an aspect of human nature like grace, guilt, authority et al; Emmanuel Lubezki’s unobtrusive cinematography where each frame lingers on long after the director screams “Cut!“, meditatively absorbing the surrounding pristine light, slowly suffusing into the aura of the O’ Brien family; Douglas Trumbull‘s non-CGI visual effects (yeah, remember his work in 2001: A Space Odyssey) use the cinematic canvas to paint a beautiful masterpiece of the universe; or Alexandre Desplat’s compositions that evoke myriad moods and emotions. And yet TOL can easily come across as a “movie” with a “lost” narrative, simplistic characterizations, sparse dialogue and old-fashioned filmmaking. Yes, all this holds true for those who watch “movies”. TOL is not your typical Hollywood product designed to overwhelm and clog your mind with visual tomfoolery, jump-in-jump-out editing, lopsided perspectives and the-hero-always-wins morals. Excusez-moi, TOL is not just a “moving images” “movie” to cater to your escapism. It is cinema of a rare and high quality. Can nature speed-up evolution? Can you speed-up ponderings about life and death? Then please don’t expect Mallick to do the same with his creations, especially The Tree of Life. A treatise on almost everything life can teach you, TOL doesn’t shy from taking its sweet time to unravel and amply rewards you for the sweet surrender. From the microscopic atom, to the collision of the worlds. From the 5 elements, to dinosaurs and ultimately us humans, Mallick explores the entire chain of evolution from birth to death, from life to after-life, from emotions to actions and from thought to consciousness. Mallick’s universe is seemingly based on the principles of Nature versus Grace. If you nurture your nature you lose out on grace and all things beautiful. But isn’t grace yet another element of nature? Why then should they collide? Or should they? Depends on how you define and perceive Nature and Grace. It is precisely this open-ended perspective that TOL offers. For instance, logic, discipline and aggression are emphasized through the father’s character (perfectly played by producer Brad Pitt) who symbolizes nature. Existential questions like why do the righteous suffer are raised through the Pastor’s religious sermon—Mallick cleverly disguising existential thought with religion? Feelings of guilt, remorse, coming-of-age and attachment to the mother (Jessica Chastain), who symbolizes Grace, are showcased through the children, offering insights into psychology perhaps. Freud’s Oedipus complex? Spiral Down or Spiral Up? 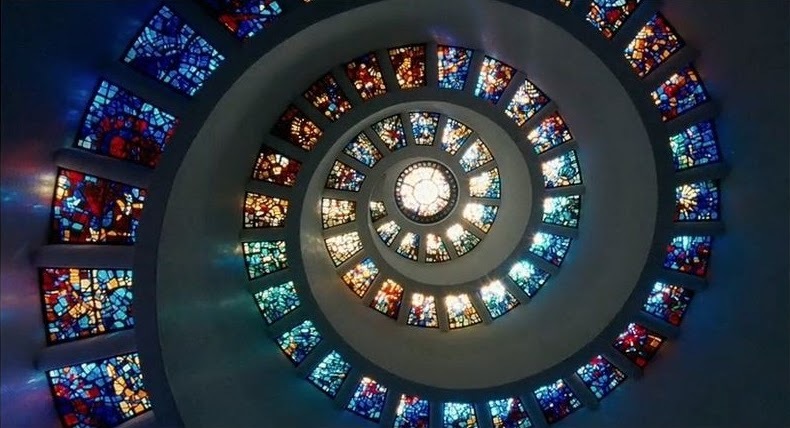 Religion, emotions, science, art, psychology, spirituality—an endless list of POVs seem to emerge seamlessly with every viewing of The Tree of Life. After two viewings I, for one, personally realized that Mallick is playing tricks on us and is probably trying to say: Nature and Grace are but two sides of the same coin and in the end there is unity of all things seemingly diverse, which were always one to begin with. Interestingly, this viewpoint forms the crux of the Hindu/Eastern philosophy on Non-Duality or Advaita. It’s heartening to see creative works in English cinema being influenced increasingly by Eastern thought. And then again, to prove this maxim, Mallick shoves-in an overdone, over-simplified climax offering viewers some plausible answers. Probably one of the only weak links in TOL that unnecessarily imparts a slightly religious and neo-spiritual leaning to an otherwise philosophical subject. I’m sure many beg to differ? That said, not since Kubrick’s 2001: A Space Odyssey has anyone successfully and earnestly attempted to narrate such a grand tale on the evolution of the universe and us minute creatures in it. Such an attempt would only mean hara-kiri for it requires a certain level of cognizant evolution on the part of the director, not to mention audiences as well. But Mallick lives up to that mark in TOL, successfully recreating the magic of the universe on celluloid to help us decipher life much better in its simple, primal and pristine form. Mallick reinforces the fact that cinema is not just entertainment but in the right hands, a visually and aesthetically stimulating medium for intellectual and philosophical debate. Author David H. Schleicher’s beautiful interpretation of TOL where dreams, memories and reality intertwine. Tags: 2001: A Space Odyssey, advaita, Brad Pitt, Douglas Trumbull, evolution, existentialism, hindu philosophy, human nature, Jessica Chastain, nature versus grace, non-dualism, nondualism, Oedipus complex, Review, Terence Mallick, the tree of life, tree of life interpretation, tree of life philosophy, trree of life climax, universe. Bookmark the permalink. Prakash – I love what you brought to your viewing of the film (seeing some common threads with Eastern as well as Western philosophies). I’ve now seen the film five times, and each time something new is gleaned and something old reconsidered. As someone else said, it’s a film of multitudes. 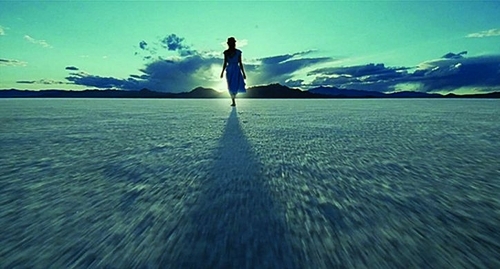 Your take on the ending is interesting as I also felt Malick may have overplayed the religious theme there – though it still meant for me what it meant for me while for others of a more religious nature might’ve taken it more at face value. I’m honoured that you like my review. I’m not sure if Mallick intended to speak about various philosophies (specially the Eastern ones), but since the “truth” or “secret” about life is not dependent on any particular philosophy, it’s not surprising that much of what he says in The Tree of Life relates to Eastern and other philosophies as well. On that note, your review very observantly decoded the movie and I could sense a string of events interconnected with each other, and although you didn’t directly use the term, it was much like the Eastern/Hindu concept/theory of Karma. Again, universal in appeal.